As the newest military-grade product, the advantages of this jammer are obvious. 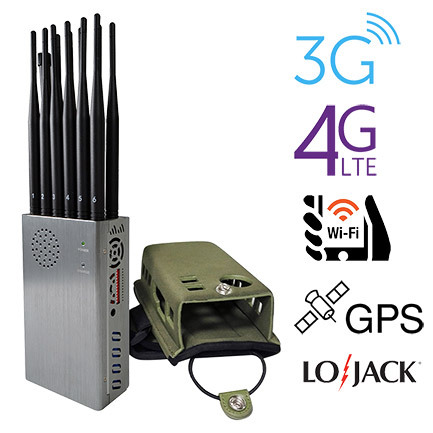 It has the characteristics of large jamming range and multiple jamming frequencies bands. 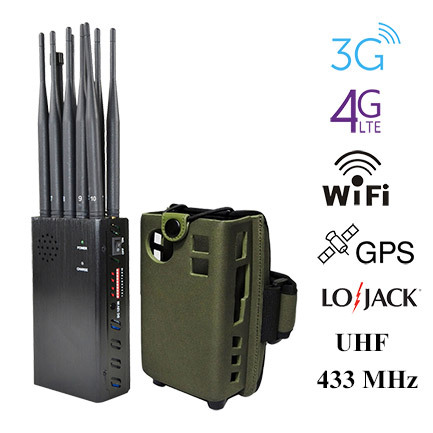 It can block all cell phone signal(GSM/CDMA, 3G, 4G, 4G LTE), Lojack, GPS, WiFi, Walkie-Talkie UHF/VHF and RF signals like 315 MHz, 433 MHz, 868 MHz. Lightweight, compact and easy to carry. At the same time, it has a very high output power, which can jamming a very large range. It can be used in most situations.